Big "thank you" hugs to Laura of Buttons and Ribbons for this fab Lemonade Stand Award. You rock! 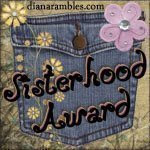 Thanks to my RL friend Su of Vively Online who gave me a Sisterhood Award. Su and I have been "sisters" for ages -- way back to our engineering days programming and load-building. She is truly awesome! "Loved the name of the blog, love the gal behind the blog- Nenette. I enjoy her posts, they make me laugh, ponder, and discuss (probably sometimes babbling my husband’s ear off)." 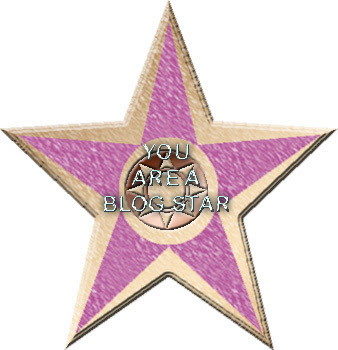 Thanks again to my bloggerina buddy Jami for this gorgeous Blog Star Award. Thank you so much to my beautiful fellow-nerd bloggy buddy Jami at Bionic Beauty in 2008 for my very first ever award nominations! I totally ripped the format of this awards page off Musingwoman's most awesome In Three Words blog award page. Still hoping and awaiting her return!